Social gathering for local software enthusiasts to chat about all things software related…including careers in Tech. Whether your a seasoned software craftsman or just starting out your journey in software…this gathering is targeted for everyone. 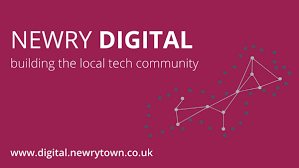 These nights are about building a software community in Newry. Knowledge sharing, building connections and having the craic is the entire point of the night. Geeks, software professionals, academics, innovators, students, startups wannabes, product owners, investors and folks just curious in learning more about the craft of working with software are welcome. The more diverse the group the better! So sign up, come along and ask to speak with your hosts Jonny or Joe to look after you! I promise you will leave the night a little bit smarter and inspired. Joined by Melissa Sweeney who works in HR at Camlin Technologies in Lisburn. Melissa will provide advice and tips if you want to bring your CV along. Martin Murtagh will also join us for tips on using Social Media platforms such as LinkedIn.